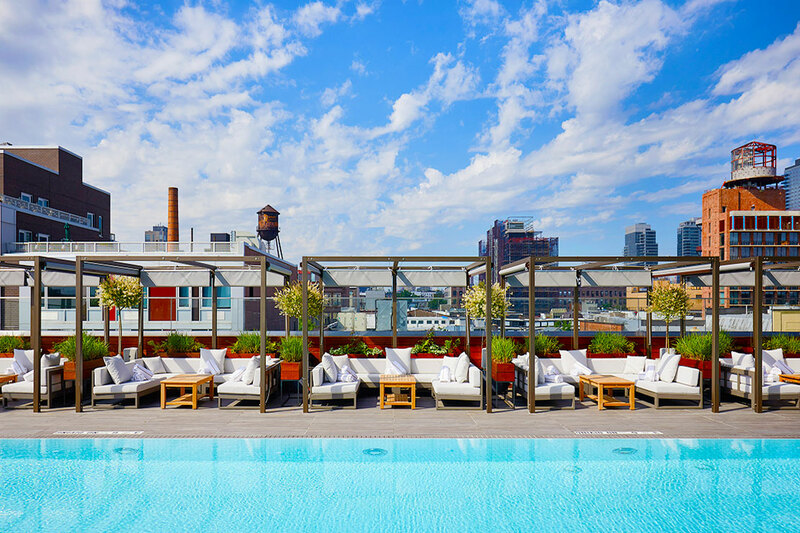 Perched above Vale Park, Vale Pool is the longest outdoor hotel pool in Brooklyn and greater New York City. 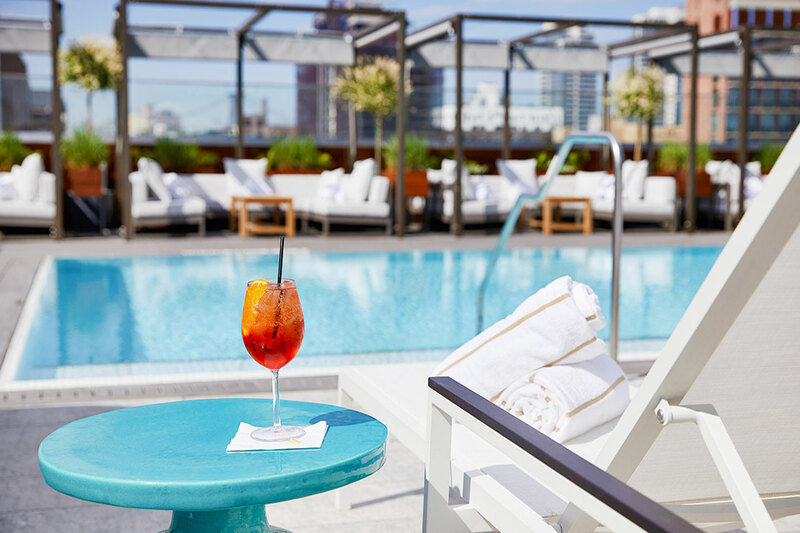 Enjoy summer in the city poolside, and compliment it with our summery menu of light fare and cocktails by Chef Andrew Carmellini and NoHo Hospitality Group. Explore Vale Terrace, a 5,000 sq. ft. immaculately landscaped open-air venue on the pool level, which provides natural shade, additional seating, and garden games. Mid-Week Membership guarantees 8am-8pm pool access with chaise lounge chair (first-come first-serve) Monday through Thursday and a plus one all season long. 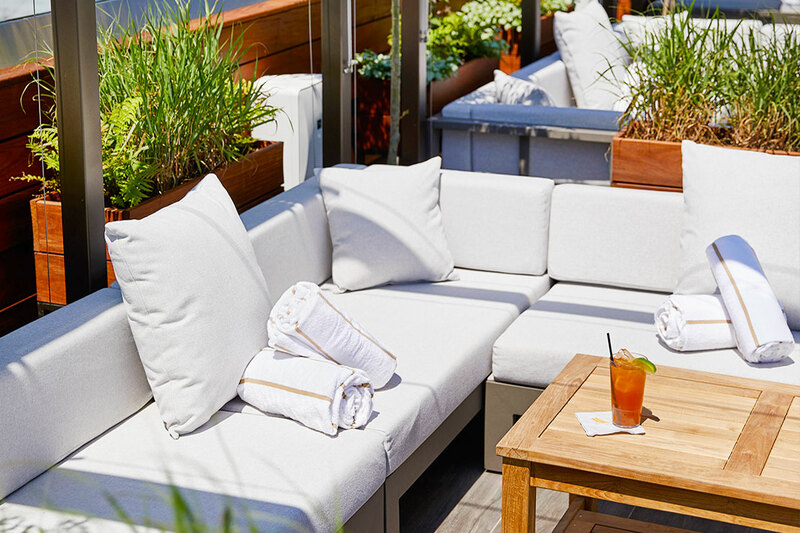 All Access Membership guarantees 8am-8pm pool access with chaise lounge chair (first-come first-serve) Sunday through Saturday and a plus one all season long. 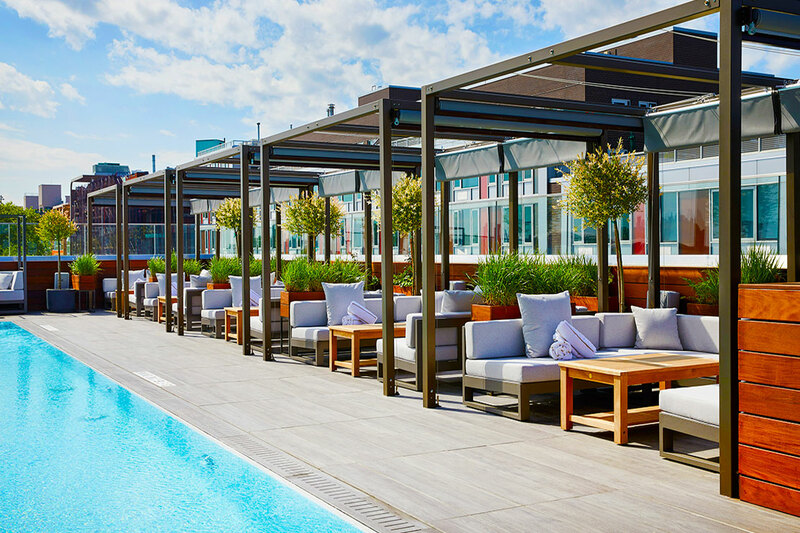 Day Passes, Pergolas, Daybeds and Cabanas can be cancelled by 3pm EST on the day before your booked date.